How to receive a copy of the confirmation emails? Event organisers can receive a copy of the order confirmation email when attendees register. 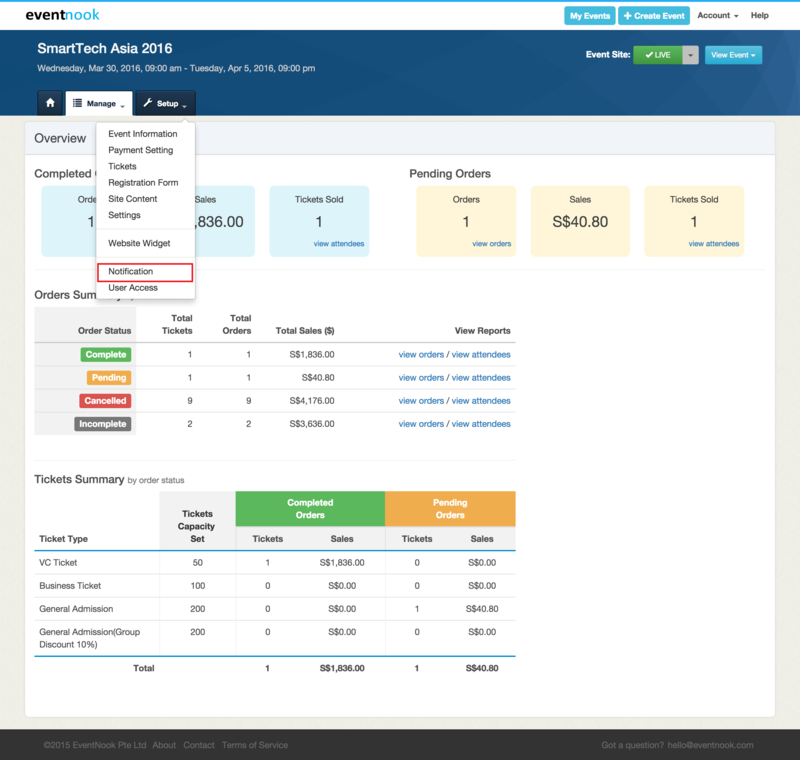 At your event dashboard, open up the "Manage" menu and click on "Notification". You will be linked to the Email Setting page. Enter the email address that you would want the order confirmations to be sent to. 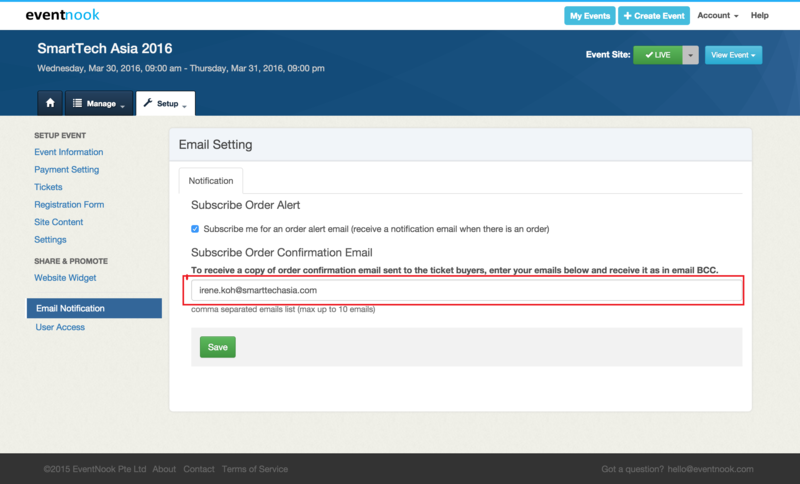 You can have up to 10 existing email addresses to receive order confirmations at any given point of time.